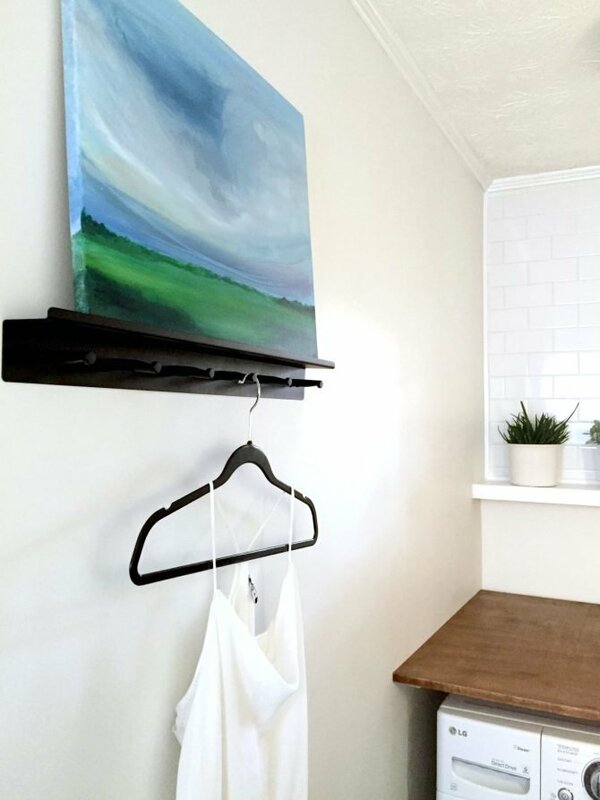 The big laundry room reveal: transformation of a cramped room with new paint, new countertop, styled shelves, and color to create a bright and clean space. 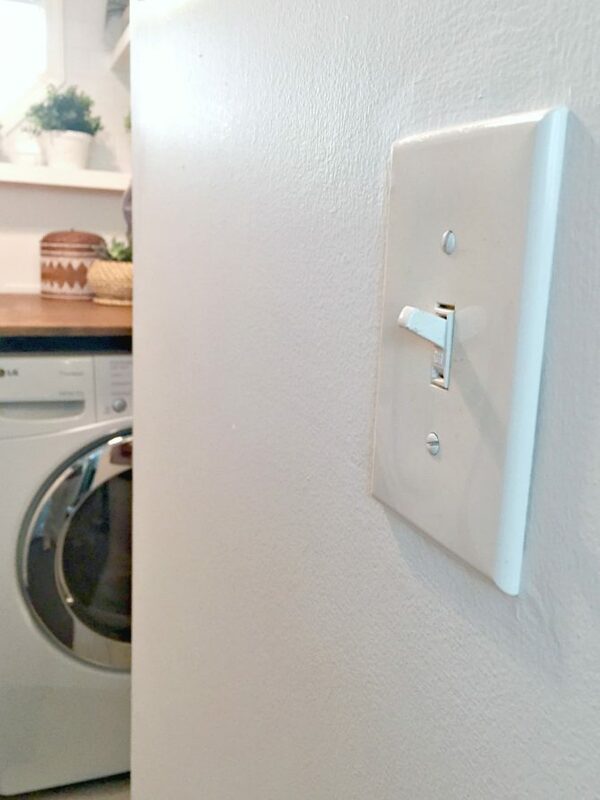 Last month, I jumped the gun and teased you all a little too early that I had completed my laundry room makeover in just a few days. And by tease, I mean that I’d finished the room (which is not like me to do), finished editing the photos (which is even less like me to do), and then just left ya hangin’ on seeing all of them. Well, it was (sort of) for a good reason: I kinda had to. 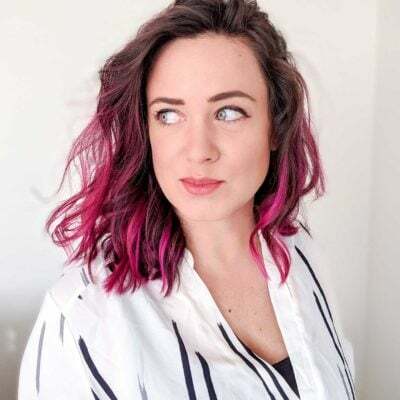 Let me explain: although I had intended on sharing things with you a little sooner, I had been working with a sponsor, and sometimes they ask me to hold onto reveals until they publish something, too. 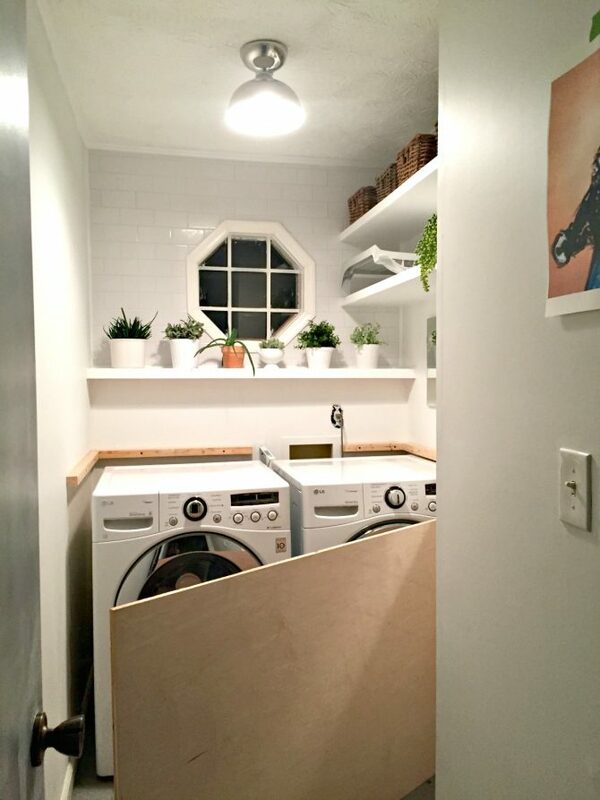 In this case, it was a multi-blog thing where not only did they give me the very budget to help me makeover the room in the first place, but they also were sponsoring several laundry room makeovers with other bloggers. EW. It’s like looking at an old penny… from the bottom of a thrift store purse… that’s got gum stuck on it. Over the years, it went through a few transformations… like getting a paint job that was a really poor choice on my part. And then installing new tile flooring because I also got new appliances, and no one wants to have to move those things around more than they have to, so why not put the tile in first, right? 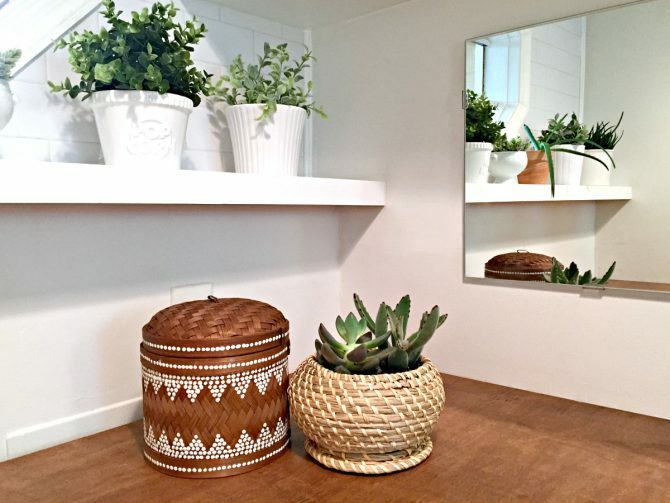 And as of the last cycle in my tornado of DIY progress (because I spin from room to room haphazardly with little remorse or agenda), I added a backsplash to the back wall, installed some floating shelves and filled it with as many plants as I could find for $5 and under. Well, I wish I could say that most of those plants survived, but even when picking out ones that are cool with limited sunlight and watering, not all of them chose to make this their forever home. So, I mourned their loss and came up with a new plan: replace the dead ones with fakes. Even still, the room was far from functional. I don’t know what it is about those halfway points that still make me procrastinate like crazy, but it’s as though until the room is completed, I go back to my old ways of not caring enough. 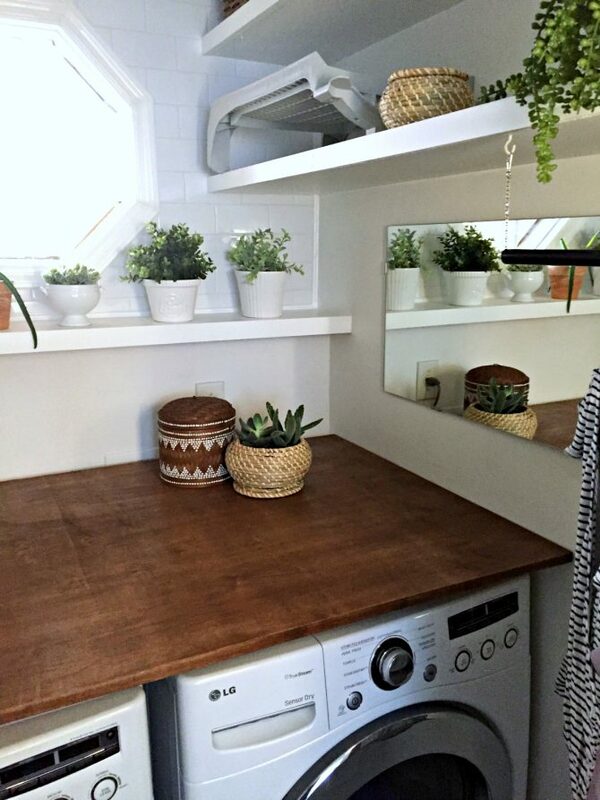 Without a countertop, it was like I didn’t have a desire to keep things pristine and I would just pile the clean laundry on top, refuse to fold it, refuse to hang the stuff, etc. 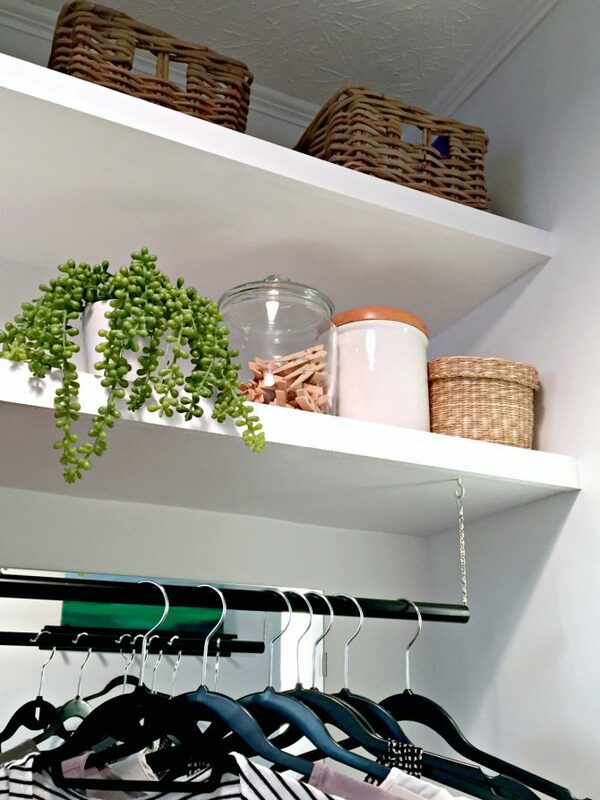 It doesn’t help that my master bedroom closet needs its own makeover, so it was just plain embarrassing. Not embarrassing enough not to share my shame for all to see, but admitting I have a problem is the first step. Look! 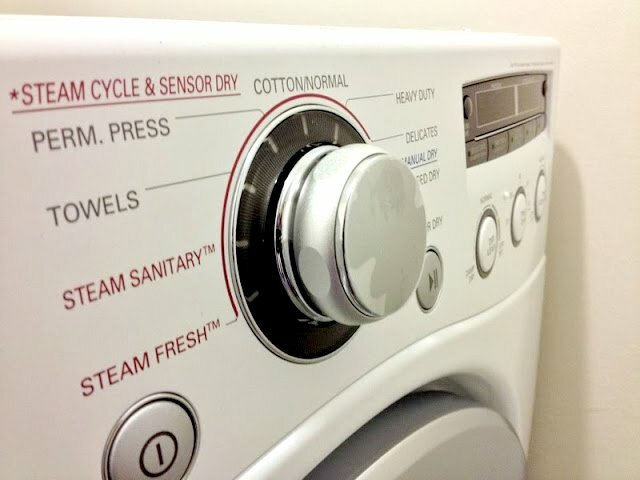 Clean underwear! But, as I’ve learned over the years with projects like my entryway closet, once I really do have it organized the way I need it for my life and daily habits, I somehow manage to keep it neat and tidy (seriously, as I’m sitting here, the entryway closet is still organized and I know where Charlie’s leash is… that’s a HUGE win for a scatterbrain like me!). With the help of the $500 budget I was given and a super-short timeline (I guess I’m a sucker for a good challenge? ), I worked mostly in the evenings during an extended weekend to get everything completed. 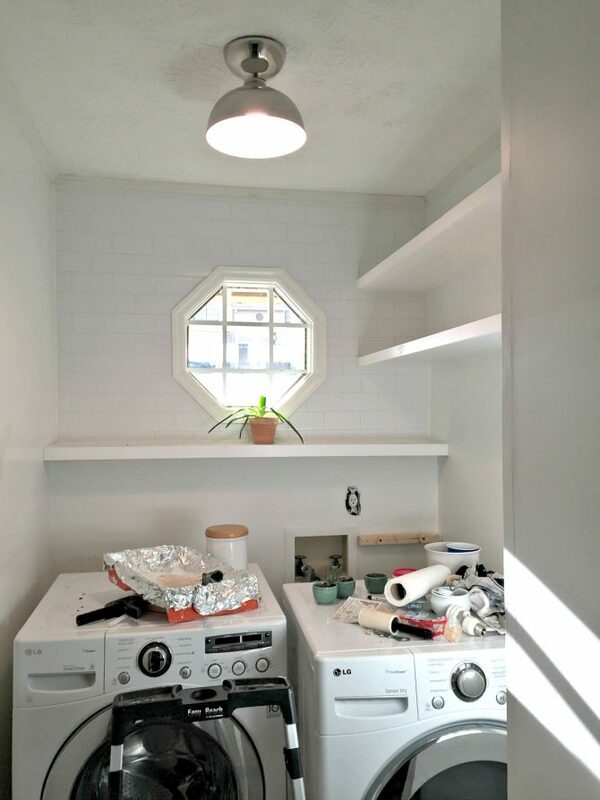 When it comes to small, cramped spaces like this, it’s the detail work that seems to take the most out of me! There are so many other details about this room that will simply make for a ridiculously long post, such as new paint, installing the new counter, a mirror, a DIY hanging rod, a better lint system, the pretty painting on the left, etc., so I’m going to just break those down separately so I can give you folks all of the nitty gritty details separately. 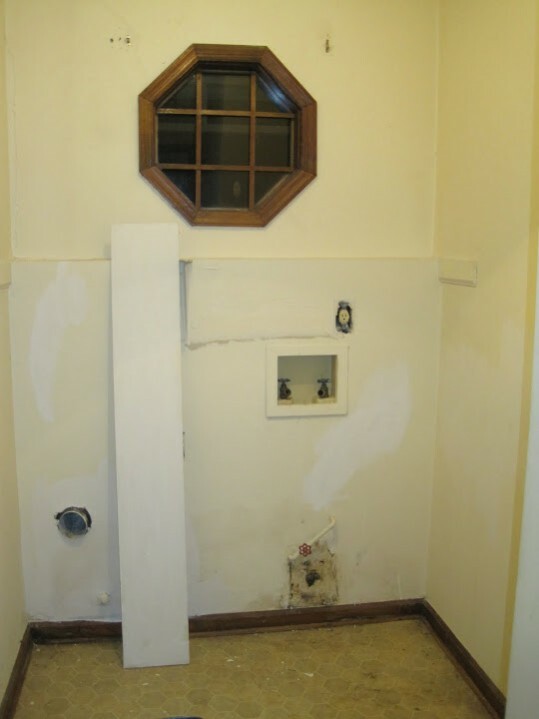 I also wrote a brief post about the projects for the Angie’s List blog, who was nice enough to at least call it a “Procrastination Station”… bless them for not using any four-letter words. But: I had my game plan. I got it done. I found new homes for things, got creative, and found my solutions to the problems that had been plaguing this room for too long. And before the week was even over, I had my new space! 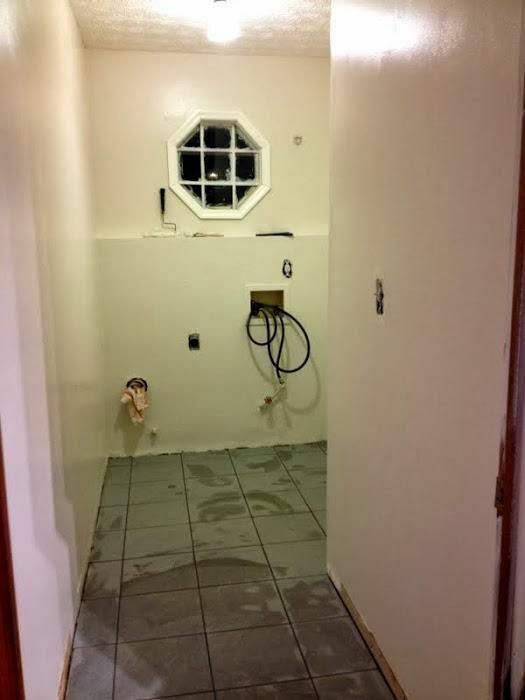 I generally use the first month post-install as a test to see if I can keep a space clean and intact before I can really call it finished, because after a month is when I notice any problem areas. It still looks just as spiffy, so other than maybe some minor tweaks (for example, I’d actually like to put a thicker piece of wood on the edge to make the counter more hefty — but don’t worry, it holds the weight of my laundry pile just fine), I think I’m finally ready to call this room DONE! I’m really happy with how things all turned out. 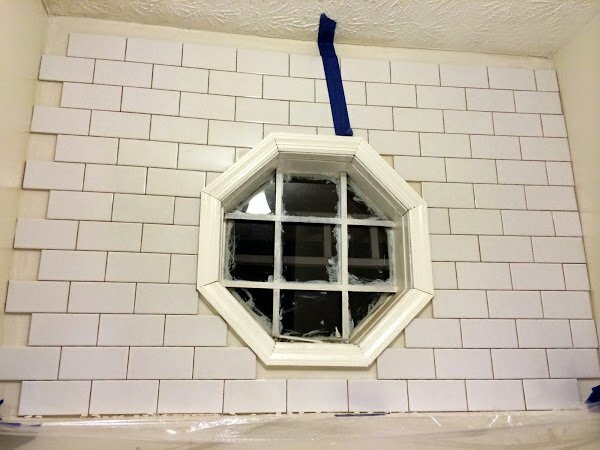 I know there are probably going to be a number of questions, but I’ll try to get the other, more detailed posts of the various DIY projects up in rapid fire so I can answer them a bunch as we go. Oh wow, what an amazing transformation! I’d stare lovingly at this while I made my coffee too! I adore what you’ve done with the room! And I pinned it! 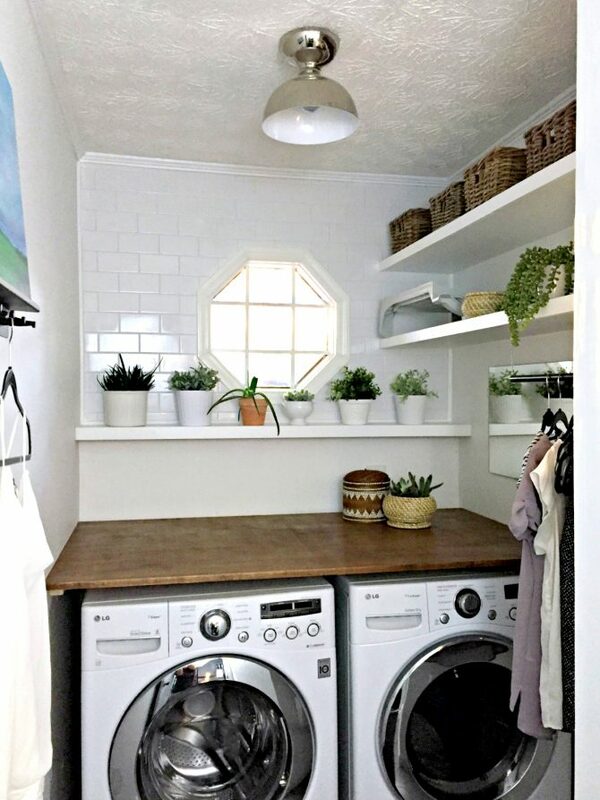 I’m so inspired by this and now very anxious to redo my sad, dark laundry room. Thank you! I absolutely love the counter top! 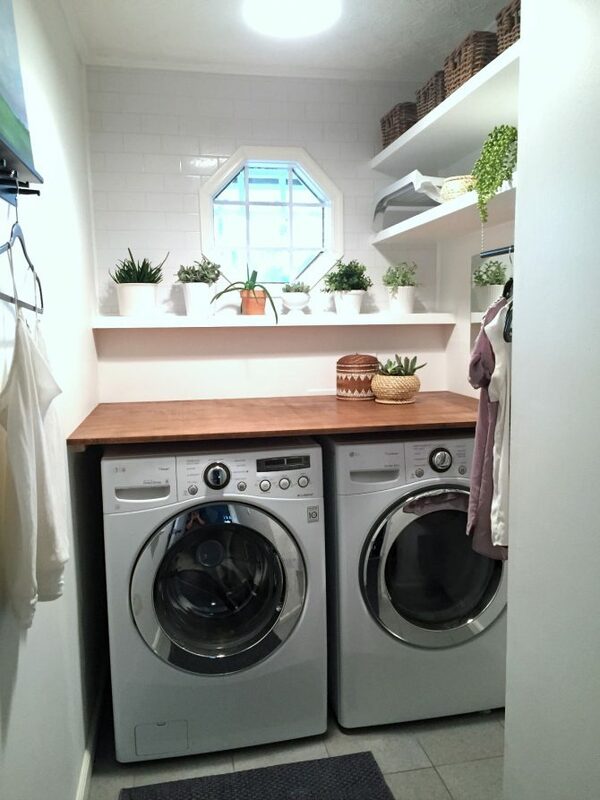 I want to have one in my laundry room. It would make folding the clothes so much easier. Looks great! What a dramatic transformation! I’m curious, though — where do you keep all of your soaps and stuff? 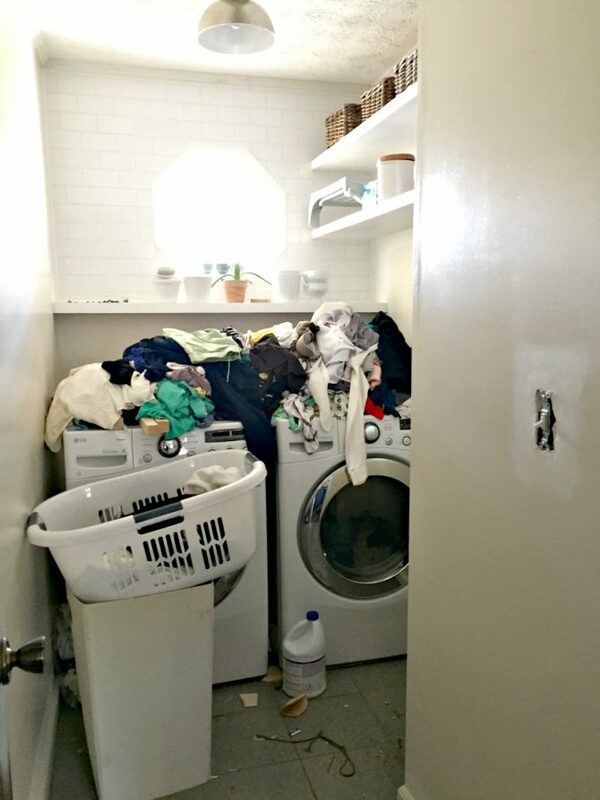 I have a very functional laundry closet, but it’s not in the slightest bit pretty, mostly because I have all this… stuff. 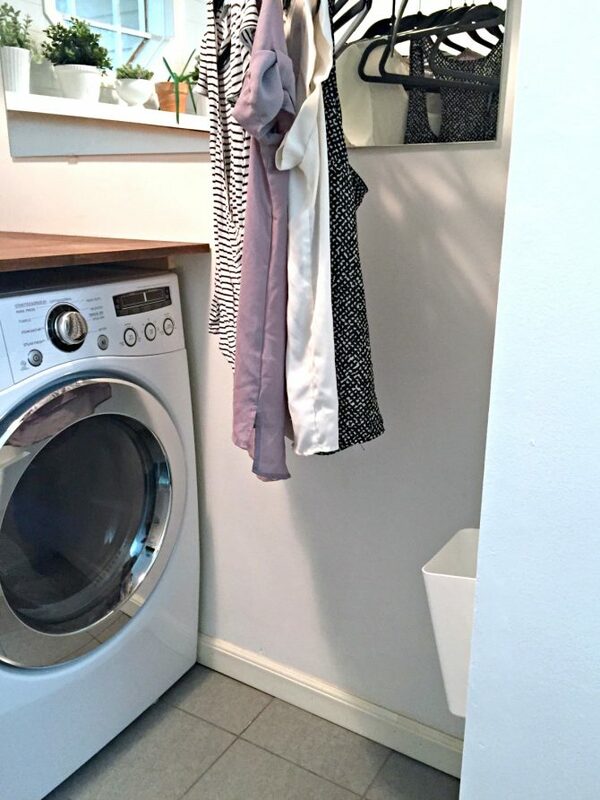 Laundry pods, bleach, color-safe bleach, fabric softener, dryer sheets… where do all of those go in your pretty room? I’m always curious how bloggers hide things to look pretty. I feel like I would get aggravated if I had to dig through decorative bins for some dryer sheets! I can’t wait for the day when I can have nice adult things! Thanks for your share. Your room so clean and beauty. I love it! It looks so clean and functional! !